The school board adopted a $585.1 million budget that increases funding for a majority of neighborhood schools for the 2018-19 academic year without hiking taxes on homeowners. School board members voted 7-2 to approve the budget late Wednesday night. 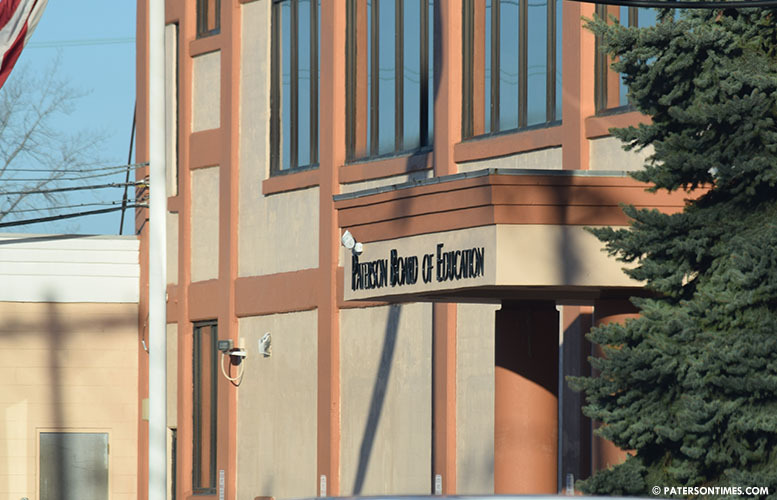 After years of laying of hundreds of teachers and staff members, the district’s budget for next school year does not contain personnel cuts, according to business administrator Richard Matthews. Matthews said the budget adds 44 jobs: 20 truancy officers, 9 music teachers, 4 art teachers, 2 librarians, 2 behaviorists, 2 gym teachers, 2 world language teachers, 2 bilingual teachers, and a director of special education. “We put a lot of resources back into the kids’ hands,” Matthews told the school board. 40 of 51 schools receive an increase in their budgets, according to an analysis by the Paterson Education Fund, a nonprofit advocacy group. Marcella Simadiris, a teacher at School 4, protested the decrease of $78,516 at her school. She argued her school needs more funding and resources to help young people succeed. District officials said School 4 is getting an increase in funding from federal government funds. The budget increases appropriations for general administration, central administration, security and facilities, and transportation by 7-percent each. For instance, general administration line is $33.1, up from $31 million. Similarly, central administration is $5.47, up from $5.12 million; and security and facilities is $43.76, up from $40.1 million, according to information presented to the school board. Instruction is $167.5, up 1-percent from $165.74 million. School board member Jonathan Hodges and Kenneth Simmons voted against the budget. Simmons disliked the one-time loan of $13.5 million that was plugged into the budget to close a $75 million shortfall. School board members see the loan as an automatic shortfall in 2019-20 school year budget. Board member Flavio Rivera told Matthews to find the equivalent amount in reductions in the next school year to avoid having a large budget gap. Rivera wanted a list of spending reductions. “When are we going to start?” asked Rivera. “We need to see some numbers and take some actions,” said Rivera. Bulk of the funds to educate the district’s more than 28,000 students come state and federal sources. A small portion comes from homeowners. Last month, the district received $20.28 million more in state aid than the previous year, to balance its budget. Schools officials had already anticipated a 5-percent increase in state education funding. This left a gap that had to be closed by taking out a $13.5 million loan. This report was updated at 8 a.m. on Apr. 13, 2018. How many students are in Paterson? Maybe 10,000? Let me know if I'm wrong. 585 Million school budget, nearly half a billion dollars? This works out to $58,500 per student! This would hire a private tutor for every student taught in their own home! What's wrong with this picture?